Our Services | McEllistrem, Fargione, Landy, Rorvig & Eken, P.A. Personal injury is our focus, our passion and our area of expertise. It’s what our firm has been dedicated to since 1980. We believe that in the personal injury world, the best results are accomplished through hard work and open communication. We meet with our clients in person. We conduct our own investigations to gather evidence as opposed to relying on work done by others. We communicate directly and immediately with the insurance companies on your behalf so that you don’t have to. Our focus on customer service also means really listening to our clients so we can do our best to meet their individual needs – we don’t screen phone calls and we return messages immediately. When necessary to obtain the best possible results for our clients, we zealously try their cases. At our firm, quality customer service means having the courage to tell our clients the truth – even if the truth is sometimes hard to hear. We believe we owe that to all of our clients. In addition to representing clients, our peers in the legal community have seen fit to hire us to help them resolve their own personal injury disputes. Plaintiffs’ lawyers and insurance defense lawyers alike regularly select our lawyers to mediate and arbitrate their personal injury matters. This is a testament to our experience, knowledge, and credibility in the legal community. Insurers, their attorneys, and other plaintiffs’ lawyers trust our abilities. They look to us for leadership and counsel in personal injury matters. Our Alternative Dispute Resolution attorneys are Brian Love and Paul McEllistrem. Addtionally, Paul has recently become a member of the National Academy of Distinguished Neutrals. You can find his profile at http://www.nadn.org/paul-mcellistrem. Individuals with disabilities or who become disabled may be able to turn to Social Security for help. SSD Insurance pays benefits to those who have a disability and meet other medical criteria. Because of his knowledge, attitude and success, disabled individuals have turned to Andy Rorvig to help them receive the assistance they need in their difficult times. 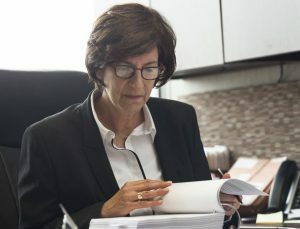 Many times, the most challenging issues that face plaintiffs, defendants, and insurers alike is dealing with and satisfying liens asserted by third parties such as ERISA health plans, Medicare, and Medicaid (MA) following an injury. Our attorneys frequently lecture and write on these ever changing and complex issues. Our knowledge and practice in the area has led to otehr attorney seeking our consult to assist with effective and accurate lien resolution.